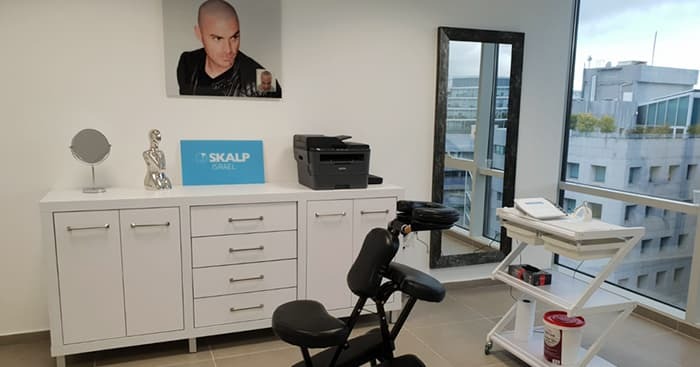 All Skalp clinics are fully equipped with the very latest Scalp Micropigmentation (medical hairline tattoo) equipment, and are medically audited. To make your session as comfortable as possible, you will be settled into a luxurious massage chair for the duration of your treatment. 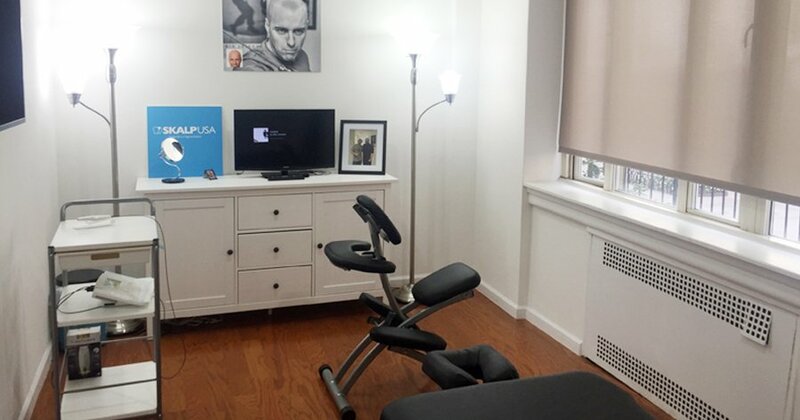 You can relax and catch up with the latest music or movies, or chat with your practitioner during your treatment. 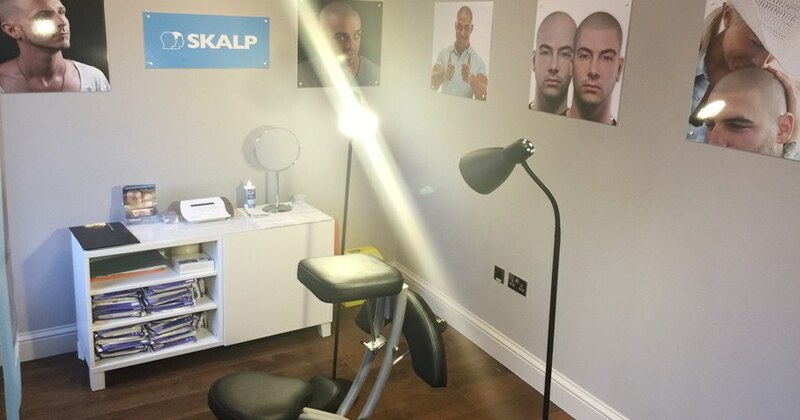 You’ll also be offered cool drinks and snacks throughout the treatment. 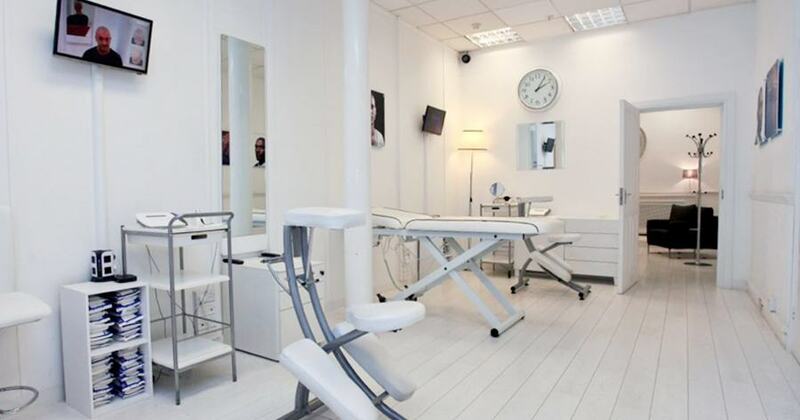 We have 3 clinics in the UK which ensures that more than 60% of the UK population has no further than 1hr drive to the nearest clinic and 80%, less than 2hrs drive. 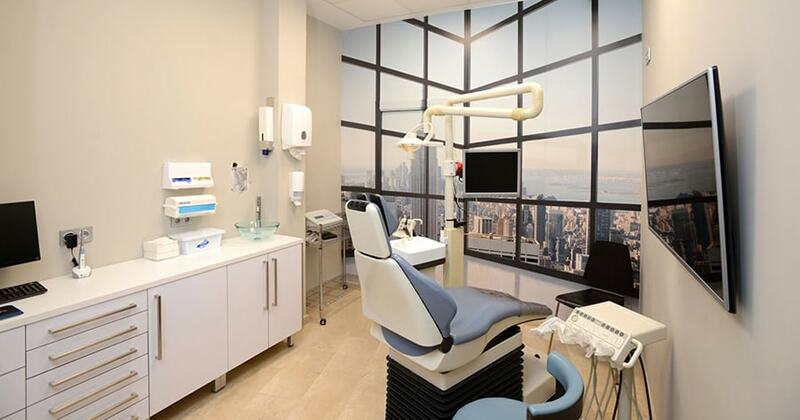 Our clinics are conveniently located to be a short distance from airports and main line train stations.